It was during the first of two final shows in Minneapolis — in the middle of “Tenth Avenue Freeze-Out” — that Bruce Springsteen’s self-appointed mission became clear. And at the tail end of his sermon, Springsteen introduced his disciples, the recently reconstituted E Street Band. This moment was important for two reasons. First, it summarized and clarified the purpose behind the current tour — his reunion and a celebration of the music he made with the E Street Band. “Tenth Avenue Freeze-Out” is the fictionalized story of the formation of the group on the Jersey Shore in the 1970s, set to a funky Stax-Volt-style rhythm. But after platinum albums and world tours, Springsteen broke up the group in 1990. But his testimony was also a personification of what Springsteen’s music has always meant to listeners. His overarching credo has always been that whether you’re playing or listening, rock ‘n’ roll can help you escape. Two central components to the most effective Springsteen songs are first, the all-consuming dreams of the individuals in the songs and second, a sense of focused desperation that these dreams were slipping away. On his first album, “Greetings From Asbury Park,” Springsteen was a man possessed. He had waited his whole life to make a record and he sang his songs like someone was about to pull the plug any second. As a result, the album is a bullet-train trip through a vivid array of characters and feelings, with Springsteen spitting out the lyrics while barely taking a breath. Through his songs, Springsteen’s world is a place of redemption and of second chances. It is a place where love is never meaningless, brotherhood is forever and dreams are never too far out of reach to try. A place where it is never too late to go back to high school and rock out at the school dance. Two albums later, Springsteen would refine his writings and streamline his approach. The result was the “Born To Run” album and it perfectly captured his vision. The next album, “Darkness On The Edge Of Town,” was darker but no less potent. His most dramatic departure was in the early ’80s, when he released the acoustic-based “Nebraska,” which he recorded without the E Street Band. But that album’s stark sound would be buried in the behemoth that followed a couple of years later. 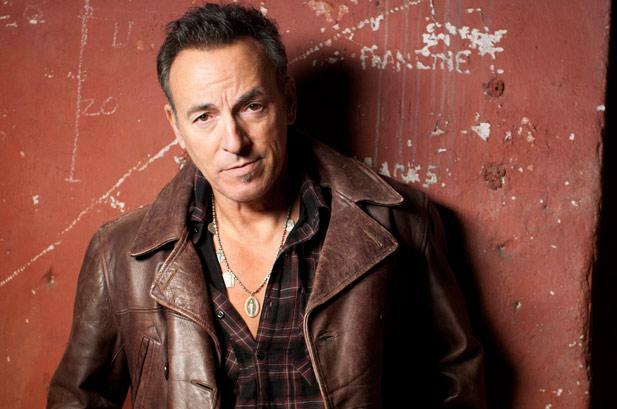 Springsteen returned to epic form on “Born In The U.S.A.” He snagged a hit single with “Dancing In The Dark,” and compiled a string of songs that were some of his strongest. He launched a marathon tour and traveled around the world. But as the arrangements of “Nebraska” would suggest: Springsteen seemed to feel confined within the band. It seemed that his dreams of being in a band were changing and he wanted to try things on his own. In 1990, he gave the group its walking papers. In the early ’90s, he released several albums, of which most earned mixed reviews. The lone exception was another solo acoustic album, “The Ghost Of Tom Joad.” For the most part though, it seemed that most people simply missed Springsteen’s chemistry with the E Streeters. But with all that talk of second chances, it might not be surprising that Springsteen would reunite with his former bandmates last year. It seemed like perfect timing with his induction into the Rock And Roll Hall of Fame and the release of a box set of outtakes. A world tour began last April in Spain and moved slowly through the U.S. (including 15 shows alone in New Jersey) this summer and fall. Judging by their faces, the band, which includes keyboardist Danny Federici, pianist Roy Bittan, bassist Gary Tallent, guitarists Nils Lofgren and “Little” Steven Van Zandt, Springsteen’s wife and singer Patti Scialfa, drummer Max Weinberg and sax player Clarence Clemons — “the Big Man,” the reunion is a rebirth. And live, the band sounds reinvigorated. Despite having a wall of guitars (Springsteen’s guitar brings the total to four), the full range of the group’s sound is not drowned out. While the guitarists add a thrust and a snarling edge to the songs, the keyboardists’ weaving harmonies and Clemons’ saxophone often sail above and around the music. Everything however, is held together by the propulsive drumming of Weinberg. Though not a “power drummer,” his rapid-fire approach drives the ensemble. Songs like “Backstreets,” “Prove It All Night,” “Darkness On The Edge Of Town,” and “Promised Land,” while remaining true to the original studio versions, offered new promise. The sound from the stage was a wall of sound with Springsteen twisting and turning the lyrical patterns. Also interesting was the fact that Springsteen took a majority of the guitar solos. Though it probably is not well-known, Springsteen was a guitar hero in his younger days before he formed the band. Both Lofgren and Van Zandt seemed pleased play backup and watch Springsteen’s fingers run up and down the guitar’s neck. The group seemed to lose a little momentum as they shifted gears to a trio of acoustic/country-tinged numbers. “Mansion On The Hill,” “The River” and “Youngstown” saw the band’s understated interplay, including Tallent thumping out the rhythm on a standup bass and haunting pedal steel guitar by Lofgren. But the subtle beauty of these tunes seemed lost on the crowd as dozens ran to the bathroom or for more beer. “Murder Incorporated’s” staggering melody, brought to the fore by the guitars, woke the crowd up. Springsteen’s singing was restrained, like he was looking for a moment to break out but held back. and “Light Of Day.” These songs were the concert’s highlights, though not because they were among Springsteen’s greatest songs, but because they were a musical hurricane: Guitars crashing, the organ and piano elbowing their way through and Clemons’ sax wailing through during his appointed cues. At the center of this storm was Springsteen. Though the young man who was so full of lyrical fire and youthful exuberance onstage is long gone, you can still see that intensity and conviction in his stare and in every word. He yells, dances, falls to his knees and even jumped on Bittan’s piano to rev things up. The flame is still burning but tempered by experience. He now delivers these songs of youthful craving with a bit of bitterness. And as a special gift to that Springsteen promised earlier for rescheduling the show, he delivered a version of “Santa Claus Is Comin’ To Town.” As the band kicked into the song, a lit Christmas tree descended from the scaffolding and Santa emerged flanked by several elves. But while the elves threw out candy, Santa strapped on a guitar and jammed with the band. But with a three-hour show complete, the true gift of the night might be the renewed kinship between Springsteen and the band. As evident by the smiles exchanged between band members onstage, it seems that this rock ‘n’ roll dream is still alive. Tags: 1999, Bruce Springsteen, Clarence Clemmons, E Street Band, Minneapolis, review, Steven Van Zandt, Target Center, Thanksgiving. Bookmark the permalink.